My old computer (the oldest one I still have... I miss the IBM...) is now safely back at my house, after spending the past decade in my mother’s basement. Made by Gateway 2000, it is just about top of the line, by 1997's standards. Unfortunately, in the past half of its life spent dormant, the hard drive seems to have failed (so did the CMOS battery). So now I have a problem. Without the faithful old 8gb Quantum Fireball spinning away (well, it spins for a little, and goes tikitatikitatikita WHACK) what do I do? It turns out 8-16GB IDE hard drives are copiously expensive. 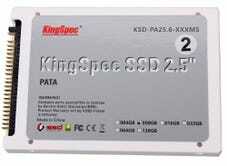 I am considering an 8GB IDE “ssd” I found on amazon, shipping from China. There is a well-rated WD IDE drive on newegg, but at 80GB it’s nearly three times as large as this system can handle, and about 20x bigger than I’d ever use. I do have all the disks that came with the computer in the first place, including the DOS 6.22 floppy and windows installation that I really hope still works. I also have the drivers for the 56k modem but may leave that out. In any case I’m sort of bummed I can’t go through all my old stuff.